We are going to introduce this topic, which is an integral part of the Teaching of the Masters D. K. and K. H., by dividing it into three parts. The first part deals with Elements of esoteric Psychology, followed by a short dissertation on the Science of Rays; finally the enunciation of the main universal Laws. It would be impossible to develop any further study without this introduction to the terms of the subject. This is an explanation, but it must be considered mainly as an indication, that is it is going to be a first stage where we will try and find our way among the laws that determine the various energetic qualities that form the mental planes, giving them a name and defining their main characteristics. Only afterwards, after grasping the basic concepts, we will be able to continue with further studies aimed by the intention of the writer and the questions of the readers. Once we have built a sufficient amount of information we will go into individual details. At this point we will meet Roberto Assagioli's Psycho-synthesis. Esoteric psychology is the science that studies the "word" of the Soul. The Soul projects a Ray of energy qualified in its own matter, causing the effect called individual mind. Ray is the conventional term used to indicate a particular type of cosmic energy, where the quality that will characterize more or less remarkably the physical mental form that will arise stands out. The characterization of an individual mind, more or less respondent to the purity of the Ray, depends on the more or less pronounced correspondence of the same mind to the qualities of the Ray. A more advanced mind will correspond to a more assonant personal attitude to the perfection of a Ray. On the contrary, a rough mind will transform the impulse of the Ray in a vulgar and low quality personal attitude. It is worth to give an example. In the advanced man the will aspect will be expressed as will for good, will to positively realize common ideals; in the ordinary man the will can express itself as violence and aggression suitable to satisfy the passion and personal desires or to affirm his egocentrism. There are seven Rays and they are the most qualified part of the cosmic Septenary; each of them is different from the others because it emits its own sound. The sound of the Rays, silent for the physical man, sets in motion the material, super-ethereal, ethereal, electric and nuclear natural forces that must operate unanimously with them. Therefore esoteric Psychology is the study of natural forces, Laws, cosmic forces and nuclear structures. The esoteric psychologist, who doesn't have anything to do with those that abuse this title by having astral and mysterial dreams, moves in the worlds of the forces called Archetypes. Archetypes are worlds of energetic qualities that have the task of expressing themselves by reflecting themselves through the world of the phenomenal appearances called material and dense energetic Forms. The seven Rays are seven Archetypes of force that embody the seven qualities of the Divine manifested. The latter is called "prime cause" or "Unique Archetype". We must remember that whilst the Divine existence is manifested and shows its Desire of manifestation through its own creation, the Divine essence is not manifested and unknowable. The Divine essence lacks of any Name and wise men call it "Him of which nothing can be said". And this is enough for any "reasonable" man. The Divinity manifests itself and it is knowable through the fruit of its own creativity, the universe (physical and metaphysical), for the Motion and the Intelligent Activity used to continue the Work of materializing itself in the universe with all its physical and energetic forms. The Motion is the third Aspect of the cosmic Trinity, called the Great Builder or the Great Architect of the Universe. These seven Archetypes are seven energetic qualities that have a seven-fold effect on any planetary and extra-planetary form. They are also the seven-fold correlation that joins each of them. Aspect of the Ceremonial and Ritual Order. The 1st Ray is not in manifestation but through the action of rare Disciples of 2nd or 3rd Initiation, who carry out the Restoration of the initiatory truths hidden in the so-called "Ancient mysteries". 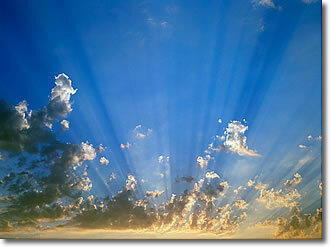 The 2nd, the 3rd, the 5th and the 7th Rays are manifested; the 4th Ray will achieve manifestation in 2025. As we have already mentioned, Archetypes emanate seven energetic qualities called Rays which, through Spirit, Soul and Mind, identify themselves in the matter of man, reaching his personality, where they express themselves through the seven attitudes that characterize it. The seven human attitudes are an important subject in order to recognize and understand ourselves; for the moment we will not describe them, because we will give a detailed description in another independent work. On the plane of physical existence (phenomenal world) matter is the vehicle of manifestation of the Soul, whilst on its plane, the animistic one, the Soul is the vehicle of manifestation of the Spirit (the Monad). Physical body, Animistic body and spiritual body are the three Triads of a greater Trinity, which synthesizes the cosmic Life of the Divinity that pervades them all. Despite appearances, we can state that there isn't a substantial difference between the dense forms of the material world and the subtle forms of the metaphysical world. There is only one energetic substance in nature in various degrees of density and vibratory activity, driven by a proposition that gives it impulse and expresses the divine intention. The divine intention can be perceived through the motion of manifestation; it is obvious that its purpose is to materialize Itself at any level of creative intensity. This is why it is said that the divine will "is everywhere and in all places". The divine intention is the structure itself of any form, from the subtlest to the densest and most material. The divine intention is the Soul of the universe and of any particle of its manifestation. The matter without divine intention would be the most exploding chaos and it would lead to the end of manifestation. All souls are part of the same universal "super-soul" and only after the 3rd Initiation (by 3rd Initiation we mean the expansion of the ordinary physical conscience until it integrates with the energies-thoughts that characterize the Soul) we get in contact with the monadic Ray. The latter becomes perceivable to the whole three-fold aspect of man (viz. Spiritual man = Monad; Man as Pure Thought = Soul; Man as feeling or emotion = Physical), when the individual Ray of the Soul takes the lead on all the energetic centers of the physical and psychic man. This event is called Transfiguration. Transfiguration corresponds to the 3rd Initiation and it is the moment of highest elevation in the physical life of man. Only when he's not deceived any more by the appearance of forms and he's free from the veil of illusion of an exclusively physical existence, man can achieve the knowledge of certain qualities of the divine Conscience, which he owns deep down and that reveal themselves to him. This inner revelation transfigures the densest elements of the physical man initiating him to the subtle worlds of the 5th Kingdom of Nature , the so-called spiritual planes. There are three main elements concurring to Transfiguration. 1) Firstly the physical man realizes he is a mind and then a soul. Using symbolic terms, the constitution of the Soul is the result of the fusion of the celestial Father (the Monad, individual divine Spirit) with the earthly Mother (Mother Matter or Physical nature). The Soul is self-conscience and the quality of hyper-physical essence, unity of light and energy, colored by a particular vibration of the Ray. The Soul is the physical reflection of the Son of the Father, which is the monadic Spirit or Monad. The Monad, viz. the spiritual Man, is the Son of God, made in his likeness, not the physical man who is Son of Man and of Mother matter, form and appearance. Life, quality and appearance represent the Spirit, the Soul and the material Body; the three of them constitute the essence and existence of man in his physical and metaphysical wholeness. Now we will use the symbol « O » to indicate the various levels of conscience of man. The first O identifies his material appearance, the second O his animistic quality and the third O his spiritual life. The three separate entities O – O – O are the signs of non advanced man. The fusion of appearance and quality but not spirituality OO – O is the sign of the advanced disciple; the fusion of appearance, quality and life – OOO – is the sign of the Initiate and the Hierarchy. All of the three spheres of spirit, soul and body are placed to form a triangle that indicates the Great Triad; this is symbolically represented enclosed within a bigger circle that represents the manifested universe: O O O, the Symbol of the three worlds of man. Once reached the top of his personality, man recognizes the quality of life of his soul and can understand the proposition for which he appeared in the phenomenal world (the world of material forms). The Soul controls its instrument, Personality, through Cycles, Cadences and Rhythm. In the 7 th Ray the Rhythm and its intervals designates a Ritual of the Ceremonial Order (for example the cycles of the four seasons and all that happens in the four Kingdoms of Nature; mineral, vegetable, animal and human are part of a Ceremonial Order, the Great Ceremonial of Nature. Another Ceremonial is the Systemic one and it regulates life and progress of the whole solar system). 2) Potentially man has in himself all the seven Rays. They are still partially active and express themselves in the body and the psyche through the progressive development of seven energetic ganglia, centers of force usually known by the Sanskrit term chakra. Through the development and the ruling of these energetic Centers man gradually learns to use each Ray and he can also dominate any aspect that it expresses at any material and mental level. This Septenary of energetic qualities identifies, as well as man, all the forms of every Kingdom of Nature, therefore the whole of the Seven Rays makes up an intelligent Identity, which we won't mention yet, that contains the whole of the "revelations of the divine proposition" in the five Kingdoms of Nature. 3) The man on the Path of Initiation proceeds through physical cycles, viz. material lives, towards the recognition of his own inner septenary. First he gets in contact with the four Rays called subsidiary and evolves them (the four centers of the lower nature), which are the 4th, 5th, 6th and 7th. Afterwards he gets in contact with the 3 Rays of synthesis (the three centers of higher nature) and evolves them; they are respectively the 3rd (activity of superior intelligence), the 2nd (wisdom of the animic thought; the animic thought is of a magnetic nature, since seen from the outside as an attracting element, it reminded devotional minds of the embrace of a mother, therefore symbolically indicated as love) and the 1st (the act of will and the power of synthesis of the Initiate). Of course this happens with the accomplishment of the part of individual progress that results in the 3rd Initiation. The integration between Soul and Personality turns the man so far focused on material existence into a "re-integrated" Man in the 5th Kingdom of Nature, the spiritual plane, viz. a regenerated Man (the 3 rd Initiation is an act of rebirth in the subtle world of spirit). At this point the Initiate grasp the sense (light) of a Unity so far not even perceived, which reveals itself as the presence of an inner God, which many mystics mistook for God itself. In actual fact this spiritual and divine Unity is the Monad, the Divine intention that lives inside each of us. From the conscience of Self as "resurrected Angel", the Initiate reaches the awareness of the reciprocal relation existing among the Seven fundamental Powers of "our" universe; at this point he proceeds towards the realization of the Triple Divinity that he reflects in Himself. At the 5th Initiation the spiritual Man finds himself consciously joined to the divine intention that supports any expression of the universal manifestation, reflecting the identity of the Great Builder of the Universe. 1) Psychic individualization (constitution of the superior mind). This process progressively allows the contact and then the fusion of the Soul with the forma mentis of Personality. This doesn't occur by "developing the characteristics of Personality" (indeed, the contrary might be true), but through situations of crisis called expansions of conscience. The latter follow one another for a better focalization on the mental plane of the Soul. The lower plane of the Soul that can get in contact with the superior planes of Personality is called Ego or superior Self. The fusion or integration between Ego and Personality allows the Soul to express itself through the various vehicles of its form (physical, ethereal, astral and lower mental) through a new mental module called creative intelligence first and Pure reason later. 2) Initiation (process of umbrage of the lower mental vehicle from the higher one called Soul). This is the process where the Soul, completed its experiences in formal life and acquired the masterhood in the conduction of its densest vehicles in physical manifestation, heads back to the source of its own life: the spiritual Monad. Before this happens man goes through five stages of identification and domain called "Initiations"; the duration of the process, in cycles of physical manifestations (incarnations) is conditioned by the determination and discipline applied by the personal self, viz. the individual personality, in following the experience of the Soul. A man needs time and experience before he can manage his boat and overcome difficulties, becoming an expert skipper; likewise Tradition suggests an approximate time of 777 cycles of physical manifestations (incarnations) for the Soul to definitely manage its dense and material counterparts. As we said before, this length of time is affected by the good predisposition or slowness of the lower self to follow the impulses of the Soul, which reach it as a drive or an inner voice of the superior Ego. The five main stages of individual progress correspond to the five stages of development of the humankind, which includes in itself the five Kingdoms of Nature represented in the esoteric interpretation of the symbol of Pentalpha (see The Mysteries of the Masons /6). 3) Identification and Crisis (recognition of a Model of identification of superior order). To identify oneself and the five stages of one's own nature in its wholeness, it is the "earthly" journey of man (keen ufologists should reflect on this statement and interpret it correctly) that leads to the complete development of his mind, from the animal drive to pure reason. In this journey the aspirant (1st Initiation), the Disciple (2nd Initiation) and the Initiate (up to the 3rd Initiation) identify themselves with psychic Models that have more and more advanced qualities. These identifications open the mind and cause the crises (of identity) called expansions of conscience. It is impossible to quantify the number of expansions of conscience along the way. Therefore it is impossible to determine both the quantity and the quality of the minor crises that are faced individually. They are indeterminable and this depends on the different individual sensitivity. Nevertheless there are five major crises and they are connected to the specializations of conscience matured by the five root races * of the humankind. In total, though, the Races and levels of conscience matured will be at the end seven, as many as the Rays to mature in the conscience of the humankind. * Root Race. The Secret Doctrine teaches us that in this evolution or round on the planet, the human soul goes through seven main types or "root races". In the instance of the first two, known as "Adamic" and "Iperborean", the animated forms were respectively astral and ethereal; they were "huge and undefined" with a low state of conscience towards the outside, exerted through the only sense (hearing) owned by the first race, or the two senses (hearing and touch) of the second. But with the third race, the Lemurian race, a denser and more human type was developed, perfected in the fourth race, the Atlantidean. The fifth race, the Arian race, is now following its course on this planet together with great part of the fourth race and small contingents of the third. Therefore it is necessary to point out that, despite the fact that each race comes from the preceding one, two of them overlap in time and coexist for many ages. These five main crises must be considered as the rhythmic Cycles of the personal Ritual of man (7th Ray) and, as it has been said before, in order to solve a crisis it might take several lives of hard work, making mistakes and correcting them with painful experiences. The first crisis occurs during the appropriation of the physical envelope, the animal form; the second occurs during adolescence, when the superior Ego meets the drives of the astral vehicle and tries to dominate its dreams and passion; the third appears between the 21st and 25th year of an undetermined life, when the superior Ego tries to umbrage the mind of the lower ego (personality). When the inferior ego stops self-celebrating and it is not deaf anymore to the inner voice of the Ego (the Self of the Soul) and it follows its "suggestions", man can enter the initiatory Path and starts facing the "trials"; once he overcomes them he will be recognized as an effective Member (not an aspirant any more) of the Great White Brotherhood. But first, passed the initial trials, the Disciple, free from the bonds of the drives of the lower or animal nature, can finally express his own Free Will; if the latter leads him towards a spiritual Hierarchy, he will become an "accepted (by the Hierarchy) Disciple" first, viz. a minor initiate, and then an Initiate. What follows doesn't concern this level of divulgation, yet. Technically, to enter the initiatory Path means to accelerate, even considerably, the operations connected to individual progress; this acceleration depends on the commitment that man "places" in his own inner growth. If personality responds with intensity to the inner appeal integrating with the animistic thought and progressively detaching from material phenomena, although experiencing them, the two last crises of growth appear. The fourth crisis occurs between the 35th and the 42nd year, when, in a certain life, on the superior planes of the mind it is established the conscious contact with the Soul, whilst the 5th crisis appears between the 50th and the 63rd year for the purpose of complete integration, which occurs through the superior mind (enlightened) between the soul and all its vehicles. In every occult work we deal with energy, unit of energy, energy embodied in forms or the flow of energetic currents in the apparently empty space. This energy gains power in the material world by becoming embodied through the Words of an Initiate or by following the currents of thought emanated by Groups of Disciples (creative meditation). In the region of thought the separation between black and white occurs. Nobody can be a black magician if his will and thought are not directed towards this direction. That is nobody can enter the dark side of evil, the so called Path of the left hand and black Magic until the mental proposition and the creative work of the mind is decisively focused on the will of one's own degradation. The degree of discipline which the Disciple must undergo is established by the natural and cosmic Laws. Rules of life which the Soul is subjected to as well. But the progress of the Disciple occurs also thanks to an improved intellectual ability; this can be obtained by increasing one's own abilities in the field of knowledge. But this must happen globally and not partially, by specializing to understand only one subject and forget the rest. The wise man "specializes" in the Sense of life, going through knowledge in all its forms, joining philosophy to science, art and comparison of religions. He always remembers that knowledge is an obstacle to individual progress until it is turned into wisdom through love and generosity towards the others. Indeed, the man who identifies himself with appearances, forms, his appearance or others', will always be subject to the great heresy of separation, remaining "stuck" in the net of egotism, the Great Delusion of the lower ego. But the subject of Great Delusion will be dealt with in particular later on. Through wisdom and understanding, which becomes tolerance and then love, man transforms the individualistic concept of "the others and I" in the universal idea of "us and us all". This new field of observation opens the gates of animal separation, making us free and conscious Members of the planetary life. The cosmic energy that in the phenomenal world (not only our planet or solar system is phenomenal, the whole physical universe is part of the phenomenal world) has differentiated in an energetic greater Ternary is called by Mystics Trimurti or Trinity. This Ternary can create any kind of form by changing its density. The forms of any type of density manifest in the whole the intention and the creative wish of the Great Builder. But if desire is delusion and creation is the wish to appear or to make appear, where does the Great Delusion arrive? The world of appearances receives energy and it responds by vibrating in the world of qualities and values of Archetypes. But the world of Archetypes of every form as well receives its energy from the world of Proposition and divine Will, which it responds to by vibrating. If we consider these vibrations as solar qualities, we will have: thedynamic solar fire called Will (1st Ray); the magnetic solar fire called Love (2nd Ray) and the Motion that results from their conjugation is manifested as the solar fire by friction; the latter will originate the world of created forms (3rd Ray).